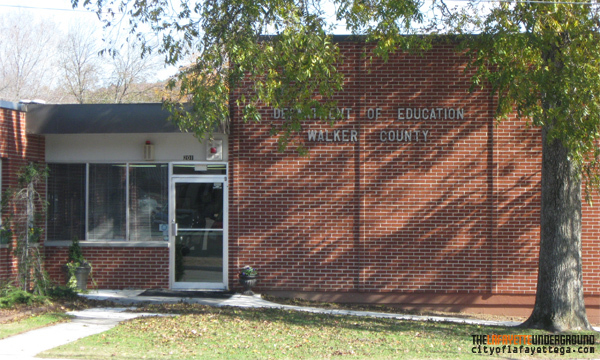 Some good news on the property tax front: Walker County Schools is lowering its property tax rate to make up for higher property appraisals, while keeping its budget steady. If your property assessment is higher this year, your school tax will remain about the same. If you’re one of the lucky few whose assessment held the same or went down, you’ll pay less. To the schools, anyway. WQCH Radio, 08/20/16: “NO PROPERTY TAX INCREASE THIS YEAR FROM THE WALKER COUNTY SCHOOL SYSTEM, IN FACT, THEY PLAN TO ROLL-BACK THE MILLAGE RATE. “FINANCE DIRECTOR PHYLLIS COPELAND SAID THE TAX MILLAGE RATE WILL BE DROPPING FROM 17.4 LAST YEAR, TO 16.6 MILLS. HOWEVER, THE LOWER MILLAGE RATE WILL RAISE NEARLY THE SAME REVENUE FOR SCHOOLS. THE DIFFERENCE IS THE REASSESSMENT OF PROPERTIES IN WALKER COUNTY. “THE STATE-MANDATED REASSESSMENT HAS RAISED THE OVERALL VALUE OF PROPERTIES, COUNTY-WIDE. THAT VALUE IS KNOWN AS ‘THE DIGEST’. WITH A HIGHER DIGEST VALUE, A SMALLER MILLAGE RATE CAN RAISE A SIMILAR TOTAL FOR THE SCHOOLS. “THE TOTAL SCHOOL BUDGET FOR THE COMING YEAR IS 93.8 MILLION DOLLARS, INCLUDING A RESERVE. LOCAL PROPERTY TAXES WILL PAY ABOUT 29-PERCENT OF THAT TOTAL. Lookout Mountain is contemplating a 5% tax cut, which will still bring that city in more revenue after the property reappraisals. Rossville, by contrast, announced plans last week to raise its citizen’s property taxes even higher than the reappraisals – on top of quietly increasing sewer fees not long ago. No word yet from Commissioner Heiskell or the LaFayette Council what their portions of the tax bill will do; up, down, or neutral. We should find out before the end of the month what they (and Chickamauga) intend to do. 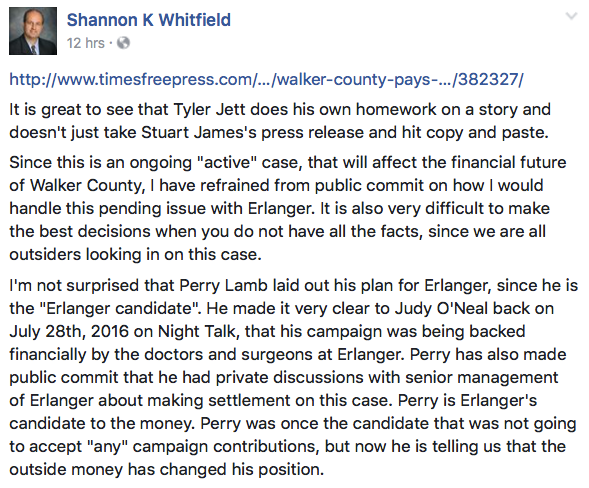 In a carefully-worded press release, Walker County claimed it’s only been billed $65,000 in legal fees associated with the Hutcheson/Erlanger case. 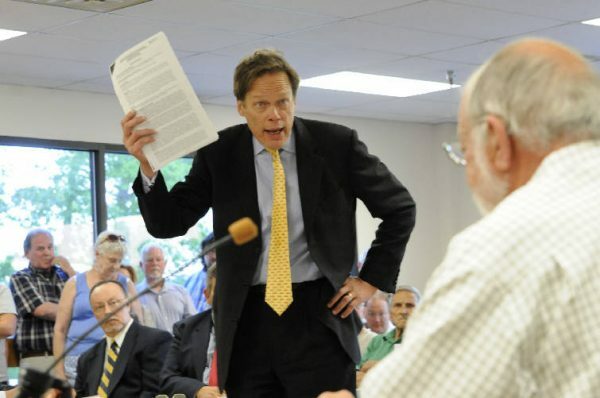 With multiple high-end lawyers involved for a year or more now, this case is costing us way, way more than $65,000 – a bill that grows larger every day, along with debts owed to Erlanger. In response to the news of Walker County spending $65,000+ on legal bills for Hutcheson, Shannon Whitfield said he doesn’t know if he’d settle the lawsuit from Erlanger or not. So he thinks there’s some possible merit to the case? Hutcheson and the county took a multi-million-dollar loan from Erlanger, promised to pay it back, and then didn’t. Every day the case drags on makes it cost more. Perry Lamb, by contrast, said the weak desperate case is exactly that, and he’d work to settle it in a way that does the least damage to taxpayers. Is Shannon Whitfield an idiot, or does he actually not know what he’ll do with the case until his unnamed advisors tell him what he thinks? Not taking a position on Hutcheson’s lawsuit DID give Whitfield opportunity to attack his opponent, who works for Erlanger (also formerly Hutcheson) and HAS taken a clear position on the legal battle. Lamb has spent over $6,000 out of his own pocket for his campaign, and says he has taken in maybe a thousand from people he works with at Erlanger – co-workers who know him, not hospital administrators. Shannon Whitfield has spent $0 out of his own pocket for his campaign and has taken in thousands from all manner of business interests that will want to do business with Walker after he takes office. 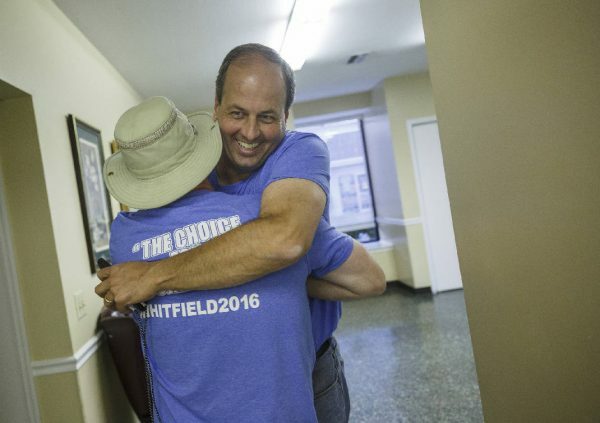 Ironic that Whitfield criticizes Lamb for being one of 5,000+ people who work at Erlanger, somehow that’s a conflict, when he’s the CFO of the county’s fuel vendor, which belongs to his father – and he’s admitted he plans to keep doing business with himself after taking office. Another sleeping at the wheel accident in Rock Spring Friday morning sent an unidentified woman to the hospital. Responders say the woman driving this Toyota fell asleep heading south down 27 near Kay Conley Rd and ended up in the northbound lane where she ran into a semi truck. 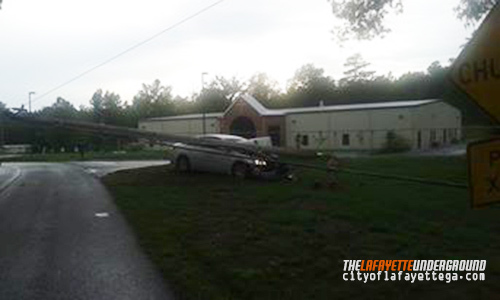 Both vehicles were heavily damaged, the woman was hospitalized but not seriously injured. 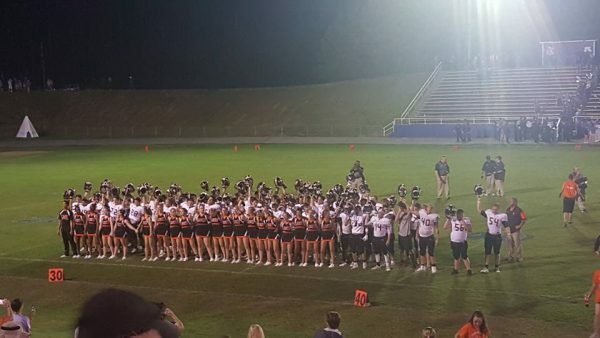 The Ramblers won Friday night’s football season opener v. Armuchee on the road. They were down 0-6 in a lackluster match at the half, then somebody flipped a switch (on one team or the other) and LaFayette surged ahead. Final score 22-6. After the win, fans gathered downtown on the square to welcome team busses home. The home opener will be this Friday at 7:30 vs. Trion. Hutcheson Hospital is no more, but its fundraising arm – Hutcheson Foundation – lives on. For now. Last Wednesday a judge released the organization to donate its remaining funds, about 3/4 of a million, to other charities dedicated to improving healthcare in NW Georgia. The donations have to be given to other nonprofits with a similar mission, not to individual employees of the closed hospital or its other creditors. Hutcheson Foundation leaders (legally separate from the Hospital Authority and its broken leadership) hope to hand out all the cash and wind down legally by the end of this year. One of Georgia’s top cops quits under suspicion of fraud. 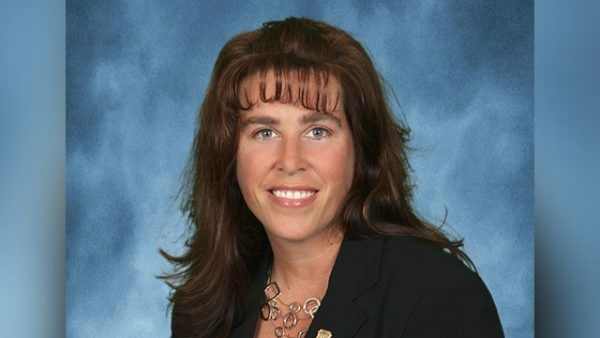 GBI inspector Sandra Putnam resigned on Thursday after the agency she worked for launched an investigation into her use (or abuse) of a state credit card. GBI investigators say Putnam, who led the state’s computer crime and child exploitation policing units, apparently spent $26,000 on herself over a three year period, charging furniture, electronics, and other personal items to a state charge account connected to herself and others in the GBI. She was employed by the agency for over two decades. So far she’s only being investigated and hasn’t been charged with a crime. A decision about prosecuting her will eventually be made by State Attorney General Sam Olens. 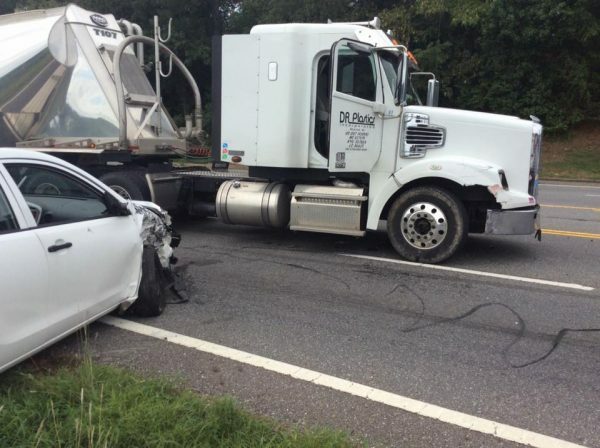 This accident on Dunwoody Rd. in Naomi Saturday evening in front of Mt. Zion church knocked out power in the immediate area. No word on what exactly happened or how the vehicle’s occupant(s) came out. Over 100 turned out to Mock Tales at the library Saturday night. 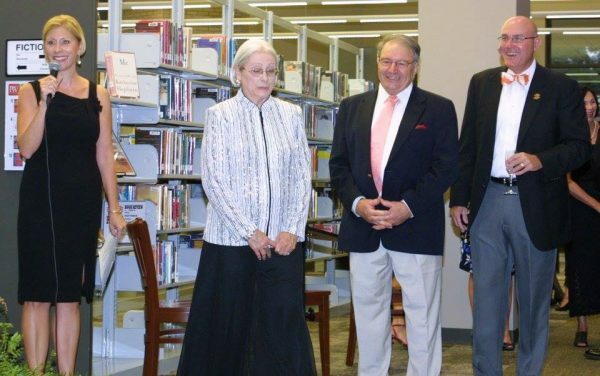 Among those showing support for library programs through the fundraiser were Mayor Andy Arnold, commissioner candidate Perry Lamb, Councilman Beacher Garmany, many members of the Woman’s Club, Chief Magistrate Judge Shelia Thompson, library employees, Library director Lecia Eubanks (of course), student volunteers from LHS, and Chamber of Commerce head Lacey Wilson. No word yet how much money was raised for the library, but public support from political leaders and prominent citizens goes a long way to reenforce how important it is to the city’s future. 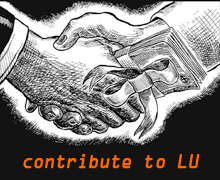 Even if you don’t use the library for some reason, your neighbors and probably a few relatives do. They do a lot for the community without much of a budget. The number of black homeschool families in Georgia is soaring in recent years as many realize public school is cutting their child’s potential short. Black homeschooling is boosted by state rules that allow someone other than a parent to do the teaching, so even a single mom can educate her children in the home while working outside it. Georgia is one of a handful of states that permits homeschool co-op groups, which canhelp with trickier subjects or provide group teaching while a parent is at work. Georgia teen arrested after trying to hire a hitman. Morgan Miles Morris, 17, of Pickens County allegedly contacted an undercover detective seeking to have two people killed. Another report says he was offering $12,000 for the deaths of two unidentified classmates and their families. It’s not clear as of yet what his motive was. Someone close to the situation said the boy’s mental situation changed a few years ago when he lost his mother. 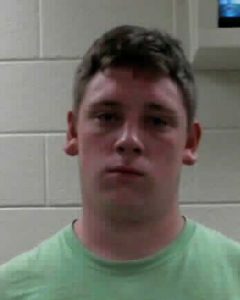 The Pickens Co High School student has been charged, as an adult, with criminal solicitation to commit murder. If you observed a bit more bike traffic on the southeast side of Walker County (around Villanow) during the last weekend, it was probably related to the annual “intense” Trans North Georgia (TNGA) bike race stretching from the east side of the state into Alabama. I am writing as a concerned citizen of the Northern Georgia area, and former resident of Dalton Georgia. My name is Mr. Robert Russell Wheeler; I was a former star basketball player with Dalton high school during the years of 1992 through 1994 seasons, and went on to play basketball for Virginia Tech from the years of 1996 to 2000. I am writing to draw your attention as well as get a response and or confirmation from Mr. Sheriff Steve Wilson of Walker County Georgia regarding a very serious matter that occurred earlier this summer regarding a man by the name of Mr. Theodore Harris. Earlier this summer the Whitfield County’s Sheriff’s Office and Tunnel Hill Police secured and executed a search warrant at one of Mr. Harris’ homes in Dalton Georgia located at 1912 Tara Place Dalton Ga 30720-where the alleged firearm used to commit the crime was retrieved, along with spent bullet shell casings in his car. Furthermore, the police officer executing the search warrant and investigating the crime also recovered video surveillance footage of Mr. Harris’ car leaving the scene of the crime. Based on the mountain of evidence the Whitfield County Police Department secured an arrest warrant and took him under police custody on 7/13/2016, where he remains today. Mr. Harris had a bond hearing late in July-2016 and he and his attorney presented their case to be released on bail before his trial date is scheduled. During these proceeding, the Judge presiding over the bond hearing denied bail due to concerns for public safety of and the well-being of the community, as well as potential harm to his ex-wife, if Mr. Harris was released. Furthermore, a protective restraining order has also been issued on behalf of his former wife. Mr. Harris has since filed a motion for a new bond hearing—scheduled for this Tuesday 8/30/2016, at which point Mr. Steve Wilson, who is the current Sheriff of Walker County GA, is listed as a character witness to testify on behalf of Mr. Theodore Harris, so he can be released from jail on bail. I am writing this letter to all local media to highlight a collective shared concern by me and the local community that a Law Enforcement Official would advocate for an individual this unstable, and who has been charged with these very serious felony crimes listed above, get a “Free Get-Out-Of-Jail” pass while awaiting trial. I am also writing to inform the Press, as well as Mr. Sheriff Steve Wilson, of the actual facts of the case, and urge the Sheriff to reconsider his actions to actually testify on behalf of a man who has been charged with these types of serious crimes, and who has also been indicted by a grand jury earlier this month for the current charges against him. I also would like to ask the Sheriff, if you had arrested an individual in your great county of Walker Georgia, and secured this mountain of evidence (i) Confiscated the alleged firearm; (ii) Located actual video footage of Mr. Harris’ car leaving the scene of the crime; and (iii) retrieved spent bullet casings from Mr. Harris’ car, would you support and testify in a public bond hearing for an individual that has already been deemed not safe to walk the streets of our community, by the local justice system of Whitfield County Georgia? In closing, I am writing to all individuals (Dalton Daily Citizen News Paper; Walker County Messenger, Channel 3 News, and the Chattanooga Times), as this individual Mr. Theodore Harris has ties to all of your communities in that (i) He has family in Lafayette/Walker County GA and is also a resident at 919 Cook Road LaFayette GA; (ii) he works (or worked) as a probation Officer in Hamilton County TN (since his incarceration he has not been able to attend work, and could have been fired by his employer), and also owns a home in Dalton Georgia. If released on bail he will be in all of our communities, which is ultimately a danger to all of us. Thanks for your time and attention to this important community matter, I have also included The Sheriff as well as Mr. Theodore Harris for comment so they they can respond to this message.